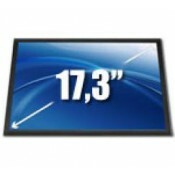 LED screen 17.3" 1600x900 HD 30 Pin Bottom Left N173FGA-E44 Rev. B1 Μέγεθος: 17.3-inch WideScreen (15.5"x8.98") Video signal connector: 30 pin LED soc.. LED screen 17.3" 1600x900 HD 30 Pin Bottom Left N173FGE-E23 REV.C1 Μέγεθος: 17.3-inch WideScreen (15.5"x8.98") Video signal connector: 30 pin LED sock.. LED screen 17.3" 1600x900 HD 40 Pin Bottom Left N173FGE-L23 REV.C3 Μέγεθος: 17.3-inch WideScreen (15.5"x8.98") Video signal connector: 40 pi.. LED screen 17.3" 1920x1080 WUXGA Full HD 30 Pin Bottom Left N173HCE-E31 REV.C1 Μέγεθος: 17.3-inch WideScreen (15.5"x8.98") Video signal connector: 30 .. LED screen 17.3" 1920x1080 WUXGA Full HD 30 Pin Bottom Left N173HGE-E11 REV.C1 Μέγεθος: 17.3-inch WideScreen (15.5"x8.98") Video signal connector: 30 p.. LED screen 17.3" 1920x1080 Full HD 40 Pin Bottom Left N173HGE-L11 REV.C2 Μέγεθος: 17.3-inch WideScreen (15.5"x8.98") Video signal connector: .. LED screen 17.3" 1600x900 HD 40Pin Bottom Left N173FGE-L23 REV.C3 Μέγεθος: 17.3-inch WideScreen (15.5"x8.98") Video signal connector: 40 pin..